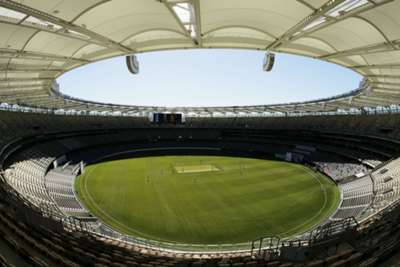 Justin Langer admits there is uncertainty over how the pitch will play at Perth Stadium for Australia's second Test against India, but he hopes to see plenty of pace and bounce. The new venue in Western Australia will host its first Test match when Australia look to restore parity in the four-game series, Tim Paine's side having lost the opener by 31 runs in Adelaide. Little is known about the Perth wicket ahead of day one on Friday, with only one four-day match having previously been played there. Langer hopes to find conditions similar to those found at the WACA in years gone by, which will allow his seam attack to come out firing against the Indian batsmen. "I'm really fascinated and can't wait to see what the wicket brings," he told reporters. "There's been one four-day game in its history there. I went and watched a bit of the game, New South Wales versus WA [in the Sheffield Shield]. "Certainly, there was some pace and bounce. We've seen some pace and bounce in it during the one-dayers and T20 game and a fast outfield. "It's an unprecedented period - the first Test match on a drop-in wicket in Perth at the new stadium. Time will tell what the wicket brings. "Hopefully that's what it is traditionally at the WACA, that's what we've talked about for a long time - pace and bounce. If we can get that, it'd be a great thing for Test cricket."